The region around Bangalore is blessed with hundreds of tourist destinations. Some are known for their natural beauty, numerous for their religious significance and several for their historical prominence. How about taking a break from the busy streets of Bangalore and taking a stroll in the midst of historical monuments? 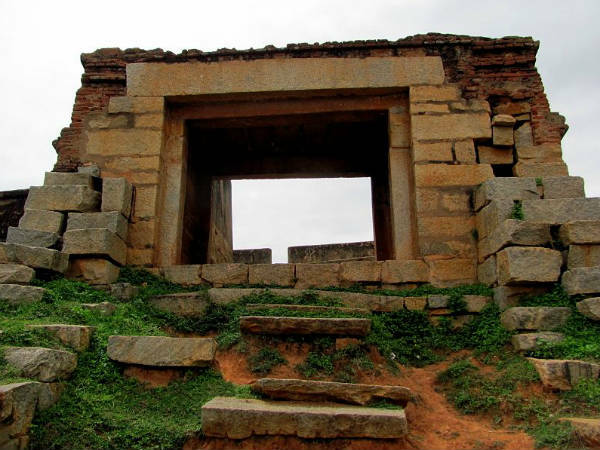 If you are a history lover and are looking for a weekend getaway from Bangalore, then the historic land of Devanahalli will certainly interest you to the core. It is one place which has a lot to offer its visitors and to provide them with the knowledge of the unknown Indian history. So, are you ready to move ahead and learn more about Devanahalli and the major reasons why it should be your next weekend stoppage? Even though the history of Devanahalli is said to have its roots in the early Medieval Period of India, most of the ancient places located within its boundaries date back to the 15th century. In the past, the region in and around Devanahalli was ruled by the Rashtrakutas, the Pallavas, the Cholas and the Vijayanagara Empire. Therefore, it is considered as a site of great historical as well as cultural significance. The recent history of Devanahalli records that the town was established by Malla Baire Gowda, the successor of the Morasu Wokkalu Family. Hence, it wouldn't be wrong to say that each and every corner of Devanahalli narrates legends from the past. Devanahalli was ruled by several other rulers, such as the Marathas and the Wodeyars, until it was captured by Hyder Ali, the father of Tipu Sultan, in the 18th century. Later on, it became a stronghold of the Kingdom of Mysore under the reign of Hyder Ali. It is the place where Tipu Sultan was born in the year 1751. The memorial outside the fort area where he was born is still a major tourist attraction and a beautiful garden named Khas Bagh surrounds it. If you are a history enthusiast, then this is one place you wouldn't want to miss. Yes, Devanahalli is home to several ancient temples. However, most of them are located within the boundaries of the Devanahalli Fort. Venugopalaswamy Temple is the oldest and most important temple here and is visited by thousands of Hindu devotees and history lovers every year. The temple is dedicated to Lord Vishnu and dates back to the period of the Vijayanagara Empire. Other prominent temples which must be visited include Siddhalingeshwara Temple, Ranganathaswamy Temple, Kalamma Temple and Mahanta Math. Considering the number of temples, it can be said that Devanahalli is a beautiful destination to savour history and spirituality. Devanahalli Fort is the most significant tourist spot here, and therefore your trip to this historic land is certainly incomplete without exploring the beauty of this age-old fort. It has in its heart a lot to narrate to its visitors. You can find its each and every corner unfolding the legends from the past. The fort was originally built of mud in the year 1501 by Malla Baire Gowda. However, it was renovated and reconstructed as a stone fort by Tipu Sultan in the 18th century. Another major reason why Devanahalli makes for a perfect weekend destination lies in its distance from Bangalore. Yes, it is located at a distance of just 35 km from Bangalore city and 15 km from Bangalore airport. Hence, it is easily accessible by road. You can either take a direct bus or hire a cab to reach Devanahalli.